It is necessary to register an id code after replacing the tire pressure warning valve abd transmitter and/or the tire pressure warning ecu (see page tw-9). Set the tire pressure to the specified value. 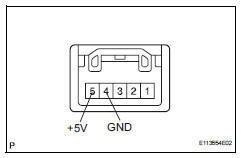 Measure the voltage of the connector. Check for dtc (see page tw-20). 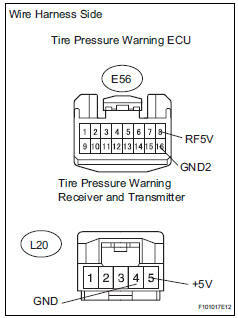 It is necessary to register an id when replacing the tire pressure warning ecu (see page tw-9). 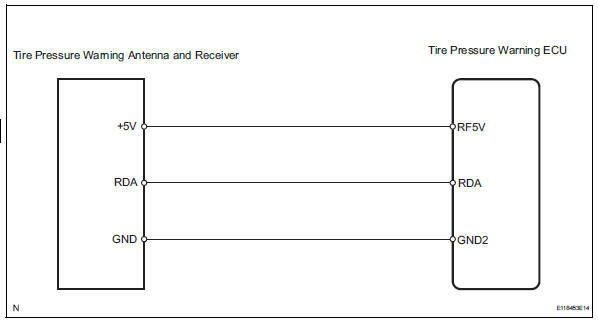 Read id on the data list before removing the tire pressure warning ecu. 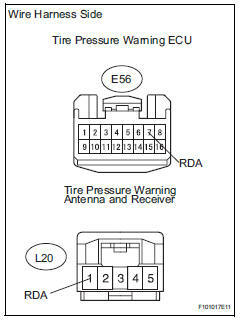 Register the id in the new tire pressure warning ecu. Disconnect the l22 receiver connector.